The Asiatic Water Buffalo is a very large and imposing animal; a mature bull can average in weight from 800-1000kg(2200Lbs) and occasionally reach 1200kg (2600Lbs). They are a surprisingly fast and agile and have been known to clock burst of speeds of 72km hour. The Asiatic water Buffalo should demand the same level of respect as the Cape buffalo. Asiatic Buffalo are generally larger in size and demonstrates the same behavioural traits as the Cape buffalo when being hunted. They can be aggressive and dangerous; it is not uncommon for guides to face several serious charges in a season. They are very accurate with the tips of their horns knowing exactly where they are at any time. These animals truly are Australia’s Ultimate Dangerous game. These animals originate from domestic cattle that have had enough intelligence to avoided musters and bred up us completely wild stock. Wild Scrub Cattle should be regarded as dangerous game right up there with our Water Buffalo. They often inhabit thick scrub areas where it can be very difficult to locate or get a good clear shot at them. 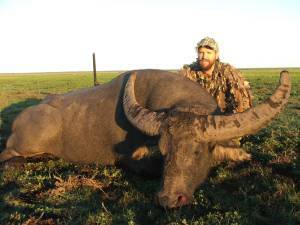 Scrub cattle can be very challenging hunt, they have incredible eyesight and will detect movement from large distances. A large mature bull may be up to 800kg (1760Lbs) and will not hesitate to charge if feeling threatened. Weighing in at around 120KG (265Lbs), the Javan Rusa carry exceptionally large antlers in comparison to the body size of the animal. Typical configuration is 3×3 but it is not uncommon to see examples carrying extra points. 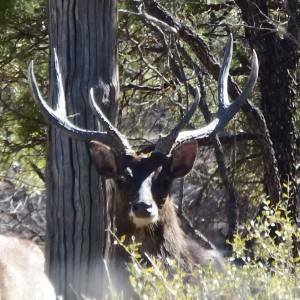 Rusa are a tropical Deer generally striping velvet in May and entering the rut late June/July. 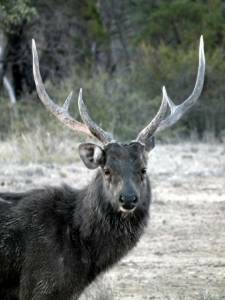 Javan Rusa provide challenging hunting and exceptional trophy quality. One of the most Majestic game animals in our country, the Red Deer is a highly sort after trophy. Weighing in at around 150Kg (330Lbs). 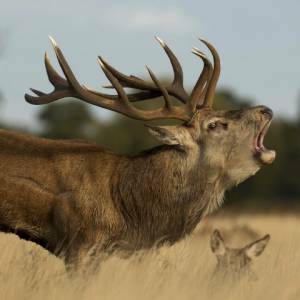 Mature stags will roar during the rut period being the best time to hunt making them a little easier to locate. 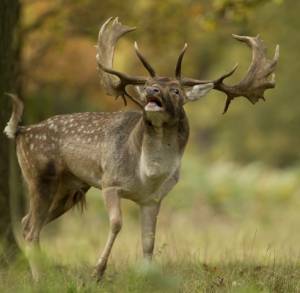 Mature stags will fight aggressively to protect their hinds from other stags, sometimes inflicting fatal wounds. Featuring wide palmated antlers the Fallow Buck weighs in at around 80KG(170Lbs). 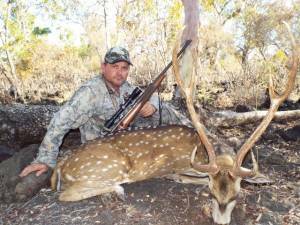 Fallow bucks generally rut in March/April , bucks will fight aggressively with each other trying to exert dominance. Peak time to hunt is during the rut as the mature stags vocalize with deep grunting sounds. Fallow hunts are often action packed and very exciting as we cover a lot of ground the hunter needs to be ready at all times. Fallow bucks often only present a short window of opportunity to get a well-placed shot away. The Axis is often regarded as one of the most beautiful deer with is fawn coloured coat and white spots. The typical configuration is 3×3 with Brow tines long main beams and inner tine. Weighing in around 80Kg(170Lbs). Axis are an extremely intelligent animal and pay particular attention to other animals around them as they are constantly looking for danger. Axis will go instantly onto high alert at the sounds of birds squawking or kangaroos jumping off in the distance. Axis can be a difficult and challenging hunt. The largest of Australia’s deer weighing in around 200Kg(450Lbs). The sambar is a very shy and elusive animal. Considered as one of the most difficult trophies to obtain. 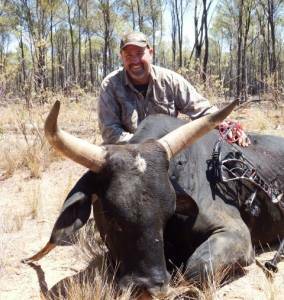 Sambar hunters must be very patient and tenacious to be successful. The sambar stags like to keep in thick cover, and rarely breaks out during the daylight hours, making this one of the most rewarding and challenging hunts on offer. Australian Outfitters © 2016 All Rights Reserved.